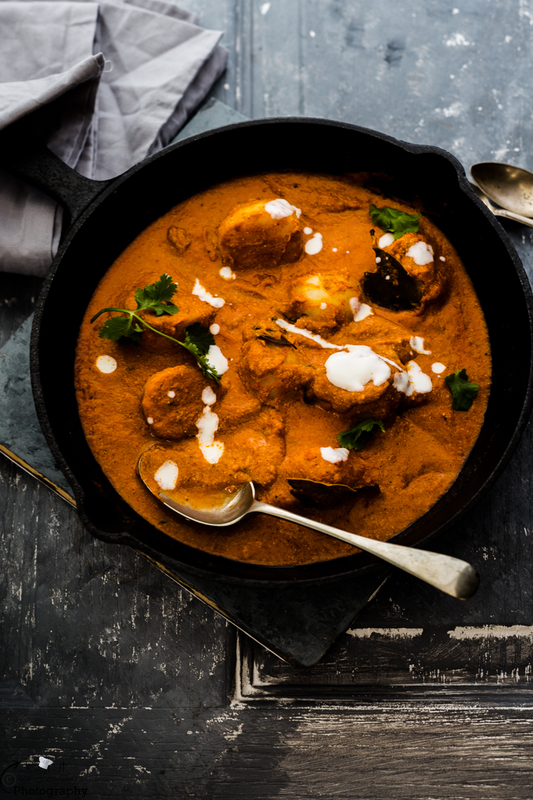 If you are looking for something new to prepare this Navratri season, try this scrumptious Farali Dum Aloo, for other Farali recipe click here . Soak cashews and poppy seeds in a warm water for half an hour. Drain the water and grind the soaked cashews and poppy seeds til you get smooth puree, leave it aside. Heat the 2 tbsp. oil in a pan or kadai and fry the baby potatoes til light brown. Remove from the pan, in the same pan add remaining oil. Once oil is heated add cumin seeds and all the whole spices. Once they start to crackle add tomato puree and keep cooking for 5 minutes . Then add cashew and poppy seeds paste and mix well. Add salt,sugar, red chilli powder and ground cinnamon and clove. Keep mixing and add 1/4 cup water if gravy gets thicker. Cook the gravy for another 3-4 minutes. Now add plain yogurt, mix well, add fried potatoes. Once again mix well and let the potato cook well in the gravy for couple of minutes. Add cream ( if using ) and mix well. Garnish it with the coriander and serve hot.